Jess is a Stand-Up Comedian who is best known to television viewers for her appearances on season 9 of MTV's Wild N Out as well as various shows on VH1, BET, and more. She is an accomplished stand-up comedian who has opened for comedy legends like Martin Lawrence, Rickey Smiley and Bruce Bruce. 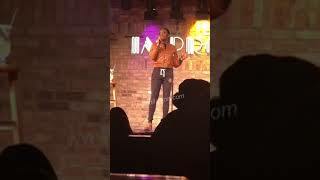 Launching her own Comedy Club tour in the summer of 2017 she is taking the country by storm selling out clubs throughout the country. Jess hails from Baltimore, Maryland and is extremely popular on Instagram, where her humorous commentary has earned her more than 1.7 million followers. A hard working single Mom she often includes her young son Ashton in videos and her segment “Jess with the Mess” is a social media sensation. Her comedy is smart and too the point. When it comes to the funny Jess holds NOTHING back.